Renault unveiled at the 2019 Shanghai Auto Show the City K-ZE electric car, envisioned for the Chinese market. The City K-ZE is an A-segment, simple, entry-level small crossover - wannabe SUV. Overall, the car seems to be pretty complete and as practical as a small vehicle can be, with anice 300L boot space. The French manufacturer didn't say what range we could expect (it was 250 km/155 miles NEDC in the case of the concept), which suggests it will not be too long - maybe 200 km (124 miles) real-world? Standard charging takes around 4 hours, while fast charging from 0% to 80% will take about 50 minutes. Production of City K-ZE will take place in China by the eGT New Energy Automotive Co., Ltd. joint venture between the Renault-Nissan-Mitsubishi Alliance and the local manufacturer Dongfeng. 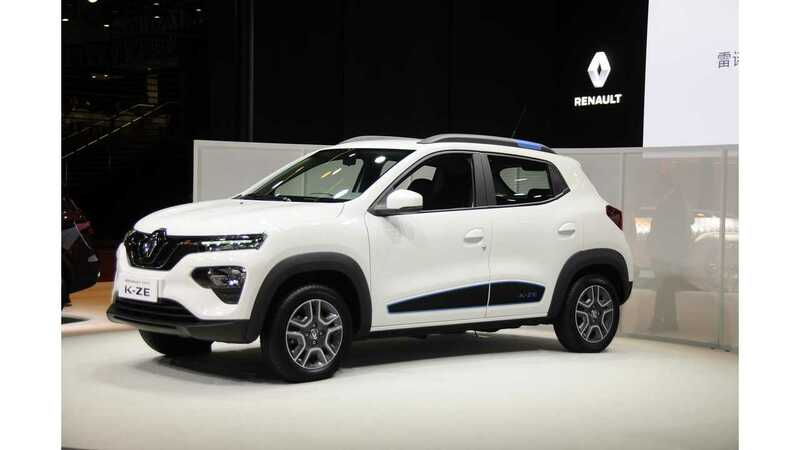 Renault intends to introduce 9 new locally produced models in China by year 2022 and three of those (including City K-ZE) will be all-electric. It embodies classic SUV design with 150mm ground clearance.